I have only ever seen an extracted reprint of a magazine review of a split Danbury...and several Bay Danbury brochures but never seen a Danbury split brochure. I avoided buying the Danbury Bay versions...of brochures..
Last edited by type21f on Wed Dec 23, 2015 1:59 pm, edited 1 time in total. On the inside of the panels danburry interiors is wrote on with a marker looks like the supplier of the timber was marking it to where it was to be supplied to. It also has a danburry badge on the boot lid which is original. It was a panel van converted to a camper I was told it was supplied as a flat pack interior and the the van was shipped out to south Africa. Does this make any sense? 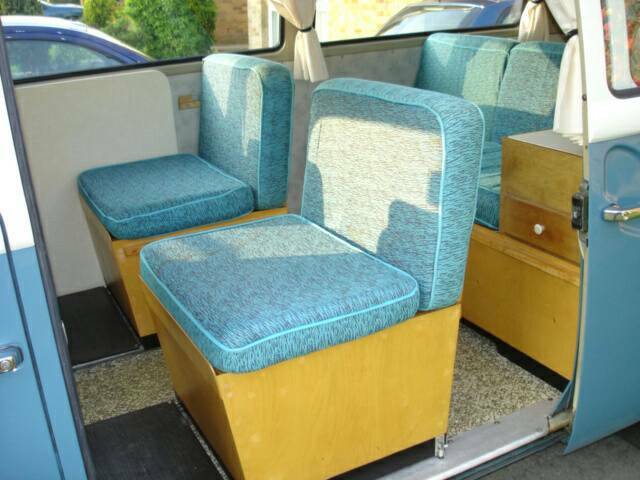 I have restored the van to a very high standard and would love to know if this is a proper Danbury interior. I have everything curtains,cushions, table,bed it's a complete interior. here is some photos of before the resto. 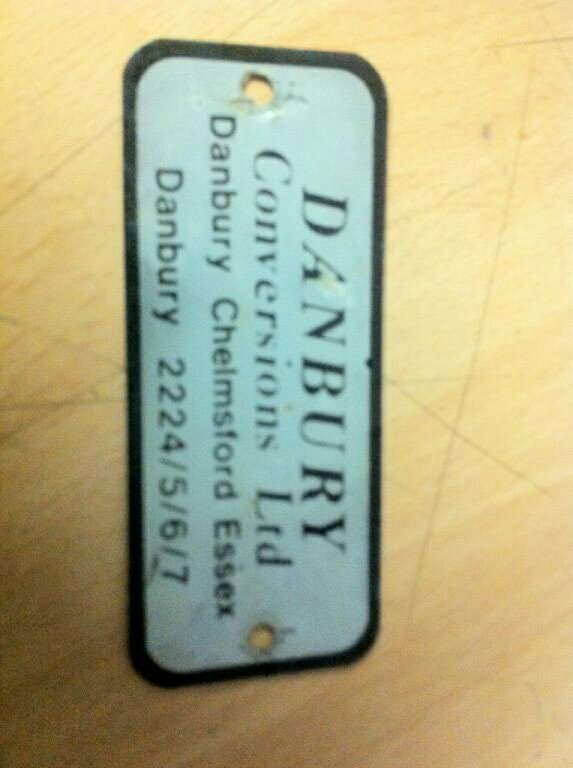 I have tried to show the Danbury badges. and another picture of it finished. Here is a picture I posted in 2011 to a samba.com forum member who was enquiring about a "Danbury conversion" which had come from the UK and was now residing over the pond. This is Bay window era badge.. With a pale background. His Danbury had similar provenance of being bought in UK and retro fitted with an interior in the Danbury garages area but with an unknown style of interior. He was attempting to research for badges and brochures. I helped secure him a badge. Danbury originally fitted blue badges as you show fitted. They changed from the dark blue..fitted in Splitscreen era to the silver fitted to Bays. The transfer you post and the riveted on rear hatch badge are indeed correct for a Danbury Splitscreen. I have a set of cushions...In this colourway..
thanks for all the info!!! I just don't know what to do I would love to know more about the interior to put it back in. I have been restoring it now for the last 5 years and the interior is the last thing to do. It has been restored to very high standard and id love to put the original interior in if I knew for sure that's what it is. if not ill build a new interior for it. Looking at the pictures I can see it was a panel van converted to a 13 window with the rear area vent cut to fit the rear set of windows. When did it get assigned the registration? I have seen similar handles on 60's kitchen furniture and not seem that style of extended hinge before. It certainly looks to work. I have somewhere a copy of an extract of a newspaper/ magazine article about the Danbury Multicar.